The kid inside us loves a trampoline, so imagine our excitement at the prospect of 150 of them all in the same room. That's exactly what's coming to West Acton; London's first trampoline park is set to open in July, with the scores of interconnected trampolines set to get kids and adults bouncing off the walls. The indoor centre will offer several different airborne experiences, from hour-long freejump sessions where the trampolines are yours to explore, to fitness classes, teen disco sessions, and even a Trampoline Academy for those of us who still harbour dreams of becoming an Olympic gymnast. If you're looking for somewhere to wear the kids out during the summer holidays, but don't fancy taking to the springs yourself, the mezzanine level café offers coffee, pizza, and free wi-fi, all overlooking the trampolines. 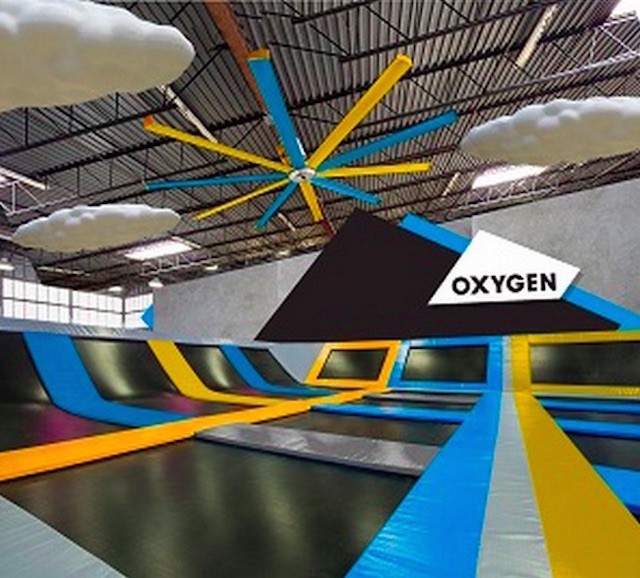 Oxygen Freejumping opens on Kendal Avenue on 20 July. Bookings are already open on the website.